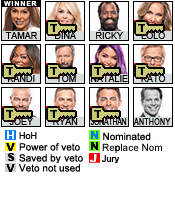 No recaps for this season yet. Tweet from Nic. Glad to see she's having a good day and being proactive! Ms. Danielle Lickey moved to San Francisco and she has a cute little place. She's making her dreams come true one step at a time, CONGRATS!! !